My Support colleague Andras Suto is an expert on the AP/AR aspects of SAP Business One and today he shared with me a change in behaviour for SAP Business One 9.3. When you work in a company that sells goods or services, it can happen that the originally committed delivery date of your product or service cannot be fulfilled for some reason. In this case, it might be necessary to update your Sales Order with a new Delivery Date. In case the approval process is involved in your sales process, the change of an already approved document might be necessary. 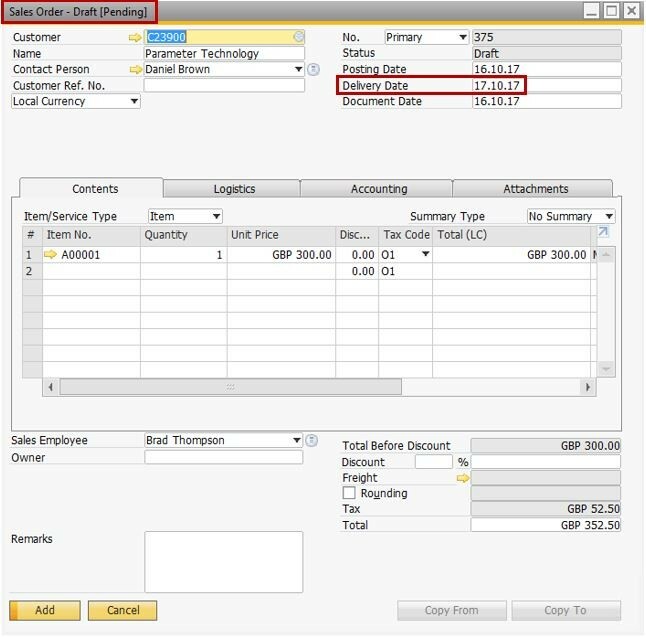 Prior to the SAP Business One 9.2 version, it was possible to update the Delivery Date at row level for an approved Sales Order. Since the Delivery Date is very important information in a Sales Order, it was decided that in SAP Business One version 9.2, it would no longer be possible to update the Delivery Date at row level as it is against the rules of Approval. In the example below, we have an approved and added Sales Order in the system with the Delivery Date of 13.10.2017. We change the Delivery Date to 16.10.2017 and select Yes to change the Delivery Date on row level as well. 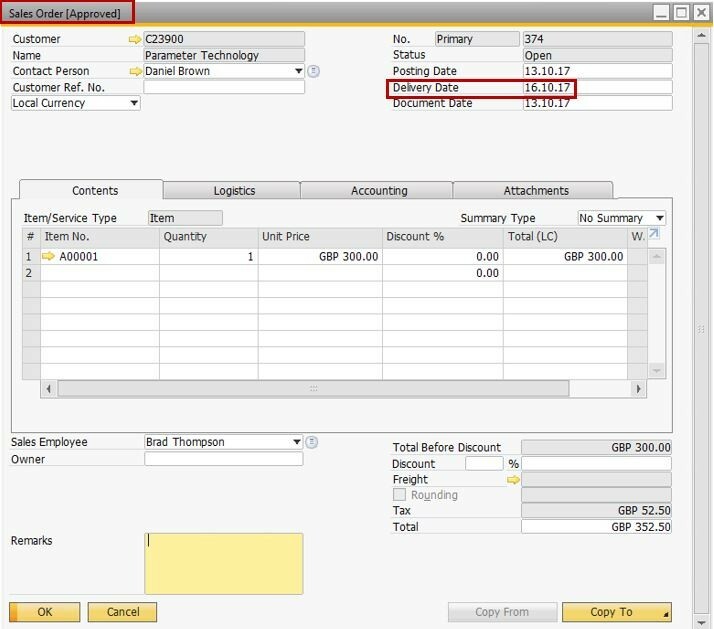 As mentioned above, and as per the correct system definition in SAP Business One 9.2 version, this action is not allowed and for this reason the following message is displayed: Document rows cannot be updated because the document has been generated or updated upon approval; Field: Row Delivery Date. However, we have received several requests from you, our customers and partners, pointing out that in certain business scenarios it might be necessary to change the Delivery Date on an approved Sales Order. If the Enable Updating the Document Generated/Updated by Approval Process checkbox is selected, using the scenario described above, you will be able to update the Sales Order correctly. And if the Enable Updating the Document Generated/Updated by Approval Process checkbox is not selected the following message will be displayed: Document cannot be updated; first enable the updating of Document Added/Updated by Approval Process. This notifies you that the functionality can be activated if your business process requires it. To make SAP Business One even more flexible and user friendly the Enable Updating the Document Draft in Pending/Approved Status checkbox was also added. If this parameter is selected, you will be able to update pending/approved documents as well. In SAP Business One 9.2, this action is not allowed and the following message is displayed: An approval request for this document has already been sent. The document cannot be added unless it is approved. However, thanks to the new checkbox, this action is supported in SAP Business One 9.3. If the Enable Updating the Document Draft in Pending/Approved Statuscheckbox is not selected the following message will be displayed: Draft cannot be updated; first enable updating draft in status pending/approved. We hope this Support tip will help you when you work with the approval functionality. 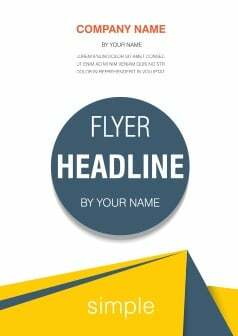 For additional reading please take a look at SAP Note 2341997.